Not only are TopWare Interactive and Reality Pump Studios working on a new entry in the Two Worlds franchise, but they’re going back to the second game to add a new major update and new DLC too. They’ll be taking another look at the five-year-old title with an aim of released eight new multiplayer maps and two brand new single player DLCs, called Call of the Tenebrae and Shattered Embrace. Two Worlds III is only in the initial planning stages and is scheduled for development over the next three years, but fans will have plenty of content to check out in the mean time. This year we’re going to be releasing eight new Two Worlds II multiplayer maps and two brand-new, single-player DLCs, Call of the Tenebrae and Shattered Embrace! 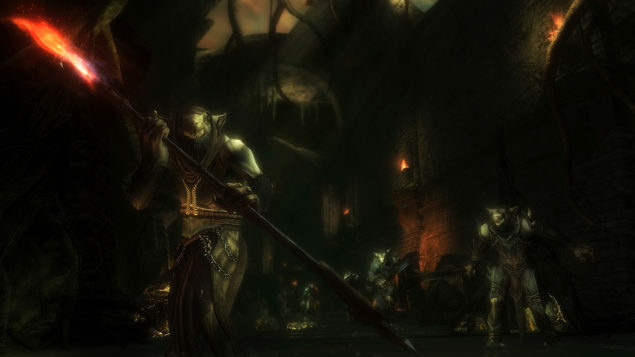 Known for its decidedly average voice acting, amongst other things, the Two Worlds games have always received very mixed reviews, but have a firm following nonetheless. The new engine update will improve upon some of the issues with the rapidly ageing second entry, including a much higher level of character and landscape detail, an HD-GUI, in addition to tons of in-game achievements, co-op multiplayer, and in-game features and upgrades.